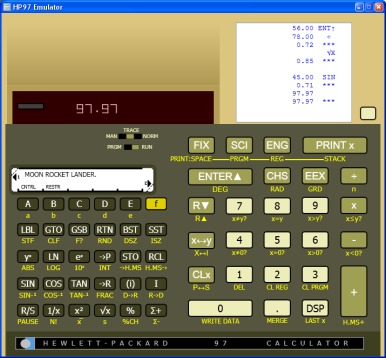 Fully functional emulation of the HP-97 calculator. This calculator can serve as your fulltime, everyday, computer desktop calculator. Its advanced functions are as useful today as they were 30 years ago when this calculator was first introduced by Hewlett-Packard.